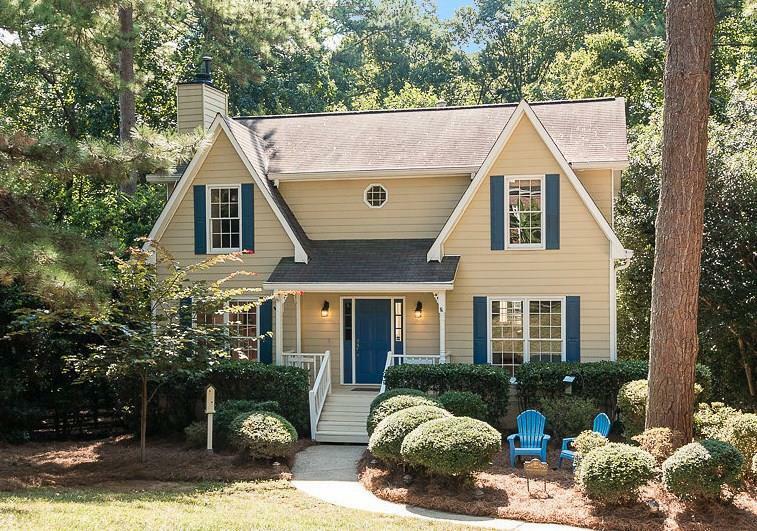 You will love this traditional charmer in sought out active swim/tennis community of Haynes Landing! Hours will be spent in the sun filled dining area off the kitchen overlooking your private wooded backyard! Gorgeous cherry floors, updated kitchen, oversized walk in pantry, fresh paint, new carpet, this one is move in ready! Master suite w/ custom closet system, enormous family room, w/ stunning built-ins & French doors opening to the deck! Terrace level w/ finished game room/ stubbed for bath, & plenty of great storage or workshop room! Fabulous location!